SPECIAL, FREE EVENT TONIGHT IN BOULDER! 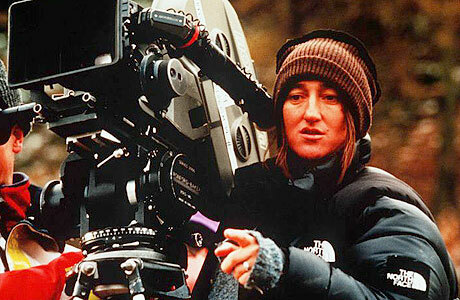 WOMEN IN FILMMAKING! We HIGHLY recommend this action -- we at BIFF are constantly looking to redress the imbalance concerning women's efforts in film. Female actors are tossed aside once they reach maturity . . . the women behind the camera often don't get the respect, recognition and support they need. Even Kathryn Bigelow. Join screenwriter Tod Davies, producer/cinematographer Meryem Ersoz, executive producer/head of production Sarah Liles, and producer/director MaryLee Herrmann as they discuss women's unique skills in all aspects of film production. This Salon takes place as a panel discussion, exploring why women often do not utilize their strengths or have their creative input pushed aside, and how that affects world cinema. You'll also have an opportunity to address the crowd if you have a project to showcase or crew positions you'd like to fill! The Salon starts at 6 p.m. on Wednesday, September 12, with ample time to meet new people of all ages and creative disciplines, as well as enjoy great complimentary food and drinks! BDA's Digital Salons are a fun and unique hybrid of schmoozing and networking, art and technology, entertainment, and education. These FREE quarterly events bring together people from all different disciplines - filmmakers, photographers, web designers, mobile app developers and more! Partial funding for this program provided by a grant from the Boulder Arts Commission.